I was surprised that I hadn’t actually done one of these posts yet! Of course I’m trying to keep my mind off of new releases because I’m currently putting myself on a book buying ban, after my last book haul I have far too many books that already need to be read. There are so many wonderful books being released in 2017 so this is my list of anticipated releases for the first half of the year meaning from January through June ( I just cut it right in half)! There are way more books on this list than anticipated so I’ll be breaking this down into 2 parts so for this post it will be releases for January through March and the next part will be April through June! I’m going to be summing up all of these books shortly and to the best of my ability (so please excuse the crappy summaries). So I’m sorry but there are a lot of books and some of their real summaries are SUPER LONG I will also link up each book’s Goodreads page so you can read the full descriptions! The Book Jumper by Mechthild Glaser ( Jan. 3rd) – A girl named Amy finds out she is a Book Jumper who can enter the stories she reads and interact with the characters and worlds. She finds out someone has been stealing from one of the books and is determined to find out who. Who doesn’t love books about books? I loved the “Inkheart” trilogy and this sounds reminiscent of that. The Bear and the Nightingale by Katherin Areden ( Jan. 10th) – A Russian fairy tale type of book about a girl who must save her family from the negative effects of not performing rituals for the spirits. Russian fairy tale/fantasy book? Sold. Frostblood by Elly Blake ( Jan. 10th ) – A girl with fire magic (fireblood) tries to avenge the death of her mother by joining rebels with frost magic (frostbloods) to try and overthrow their king. She is then captured and forced to compete in a tournament against the frostbloods. Not only do I love fantasy books with magic systems but also good old fashioned revenge stories. Roseblood by A.G. Howard ( Jan. 10th ) – A Phantom of the Opera retelling, need I say more? Caraval by Stephanie Garber ( Jan. 31st ) – Two sisters dream of seeing Caraval the once a year performance where the audience participates but when they get there one of them is kidnapped as a part of the game. This is a super hyped book and it sounds awesome so hopefully it lives up to everyone’s expectations. Carve The Mark ( Jan. 17th ) – Okay honestly I’m not even sure what this is supposed to be about other than it’s science fiction, they have some powers, and two groups of people feud with each other. That’s about all I got out of it, sorry! It sounds badass though and the cover is to die for . *Quick, Last Minute Update* I’m actually not 100% sure about this book at all anymore, if I’m excited or even wanting to read it. There have been TONS of issues brought to light with it and I’m just not confident I want any part of it. Empress of a Thousand Skies by Rhoda Belleza (Feb. 7th) – Rhee, heir to a dynasty, and Aly, a TV star accused of killing Rhee, are thrown together to face a nameless evil that threatens their galaxy. I’m seriously just loving all of the new YA science fiction books and this one sounds awesome, I’m also curious about what/who the antagonist really is. To Catch A Killer by Sheryl Scarborough (Feb. 7th) – Erin Blake survived for 3 days as a toddler alongside her murdered mother. 14 years later her biology teacher is murdered similarily and Erin decides to put her forensics hobby to good use and try and catch her mother’s killer. 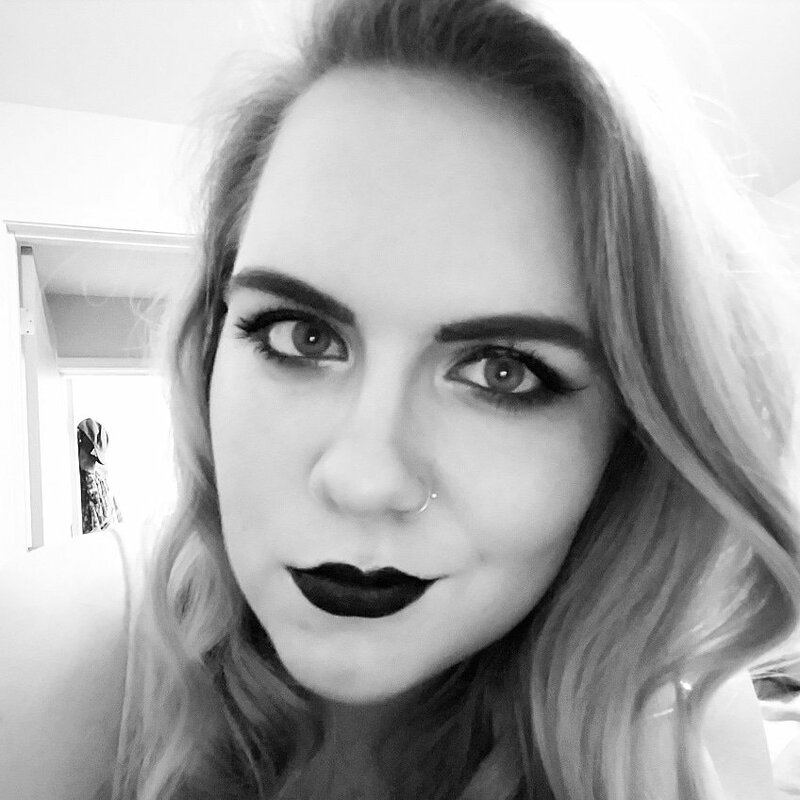 I don’t know what it is about gruesome murder stories that always catch my attention but I swear I’m not a serial killer, I’m just kind of weird! The Valiant by Lesley Livingston (Feb. 14th) – Fallon is the daughter of a Celtic king and when her sister is killed in battle by the invading armies of Julius Caesar she finally gets the chance to join the war band. However, she is captured and sold to a training school for female gladiators. Okay first of all who doesn’t think this era is interesting? Also FEMALE GLADIATORS! Beautiful Broken Girls by Kim Savage (Feb. 21st) – Two sisters commit suicide together and the lover of one sister gets a note from her that sends him on a quest to collect all of the notes she left behind for him. Sounds interesting enough and I also have Kim Savage’s debut book as well….which I still haven’t finished…..
Long May She Reign by Rhiannon Thomas (Feb. 21st) – Freya, twenty third in line for the throne, suddenly finds herself the queen after the king and everyone close to him are poisoned. She must survive and find the murderers before she’s next. I absolutely love YA fantasy especially when there’s a lot of political intrigue which this book sounds like it will have since Freya can trust no one and they all have their own agendas! Daughter of the Pirate King by Tricia Levenseller (Feb. 28th) – A 17 year old pirate captain searching for a treasure map allows herself to be captured by enemy pirates in order to search their ship. YA PIRATE BOOK!!!!!!!!!!! Pirates definitely need to be done more in literature especially YA literature so I’m 100% in for this book. The Roanoke Girls by Amy Engel (Mar. 7th) – After her mother commits suicide, Lane, goes to live with her grandparents and cousin, Allegra. Eleven years later her grandfather calls to tell her Allegra has gone missing and Lane must return home to help them search for her. I like mystery/thrillers especially when there’s family drama and secrets involved! The Bone Witch by Rin Chupeco (Mar. 7th) – After Tea resurrects her brother she discovers she has the powers of necromancy making her a bone witch and is outcast from her community. An older bone witch then takes her and her brother in for training in an other land. I have an ARC of this and I’m super excited to read it since it sounds amazing! I also really loved Chupeco’s other book “The Girl From The Well”. The Beast Is An Animal by Peternelle van Arsdale (Mar. 7th) – A girl with a secret ability must save her village from the darkness that lurks in the forest. There’s evil, darkness, soul eaters, a beast, and magic! It sounds dark and fantastical and the cover is so gorgeous. Bad Blood by Demitria Lunetta (Mar. 14th) – Heather is sent to spend the summer with an aunt in Scotland to help her mental state. However, instead of having loads of fun she can’t stop dreaming about two girls who lived centuries ago…. First of all I like that the protagonist is named Heather (*cough* totally not full of myself *cough*) and I loved books set in Scotland, I’m interested to see what the plot is kind of all about if it’s paranormal or what! Hunted by Meagan Spooner (Mar. 14th) – Yeva’s father goes missing in the forest and she sets out to find him by tracking the creature he was seeking. She follows the Beast back into his own cursed valley full of fairy tale creatures. Of course this is a Beauty and the Beast retelling and it actually sounds like it may have a few really good, unique twists to it! Shadow Run by Adrianne Strickland & Michael Miller (Mar. 21st) – Nev, a prince, joins a starship crew in order to get to it’s captain, Qole, who he believes holds the key to changing galactic civilization. She is then kidnapped by a rival royal family who is interested in her abilities and Nev finds himself trying to save her instead of use her himself. Okay I’m a sucker for YA sci-fi especially with all of the great ones recently! Also it’s marketed as Firefly meets Dune and anything compared to Firefly, I must read. Overturned by Lamar Giles (Mar.28th) – Nikki’s dad has been in prison on death row in Las Vegas for a crime he says he’s innocent of but all she cares about his raising enough money gambling to get out of town. Then her dad’s case is overturned and he’s determined to find out who framed him. I really like Vegas themed stories, I have no idea why really I just do. I like the politics of the gangs/mafias that are usually involved and of course any heists (Ocean’s Eleven anyone?). Nemesis by Brendan Reichs (Mar. 21st) – I’ll just have you read the actual description because this one is way too hard to sum up, there’s murders and an asteroid threatening Earth basically. Sounds like a lot of weird stuff crammed together and I love weird. 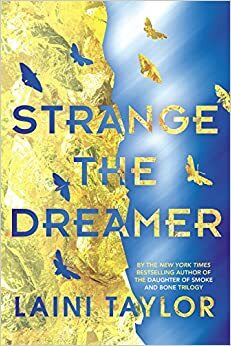 Strange The Dreamer by Laini Taylor (Mar. 28th) – Dreams, dreamers, a hero called the Godslayer, legendary warriors, a city cut off from the rest of the world (Weep), and a mysterious blue-skinned goddess. How does this not sound fantastical and amazing? Plus it’s Laini Taylor so…come on. 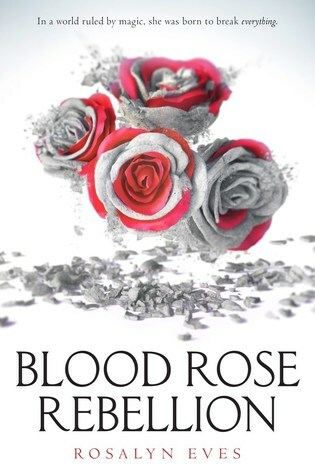 Blood Rose Rebellion by Rosalyn Eves (Mar. 28th) – Anna lives in high society where everyone has a magical ability except her, one day she breaks a spell cast by her sister and is sent (in exile) to Hungary. Rebellion breaks out and suddenly everyone is seeking her unique ability of spell breaking. 1850’s Hungary and a magic system? I’m in, although I’m not expecting anything game-changing since this sounds like a lot of other YA fantasy books. So what books are on your radar for 2017? Are you excited for any of these books as well? Which ones do you think sound the best or have the most gorgeous covers?